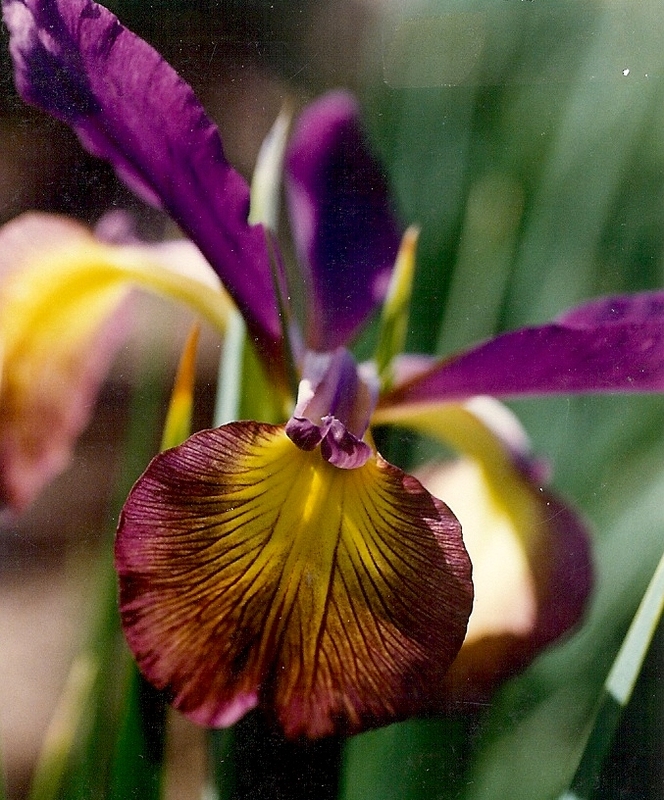 'Imperial Beauty' ( Eleanor McCown, R. 1966) Seedling #66-6. SPU, 48" (122 cm). Midseason bloom. Standards deep purple (Nickerson 5P 3/9); falls orange-yellow (10 YR 8/10) bordered deep purple. Cordon Bleu 1971. Honorable Mention 1973.